Stop waiting for the future. It’s here — and you can see it. Analytics understand your customer’s store behavior, product impressions and dwells; smart refrigerators warn of spoiling food and optimize grocery lists; and augmented reality lets customers instantly buy something at first sight — whether or not they’re in your store. 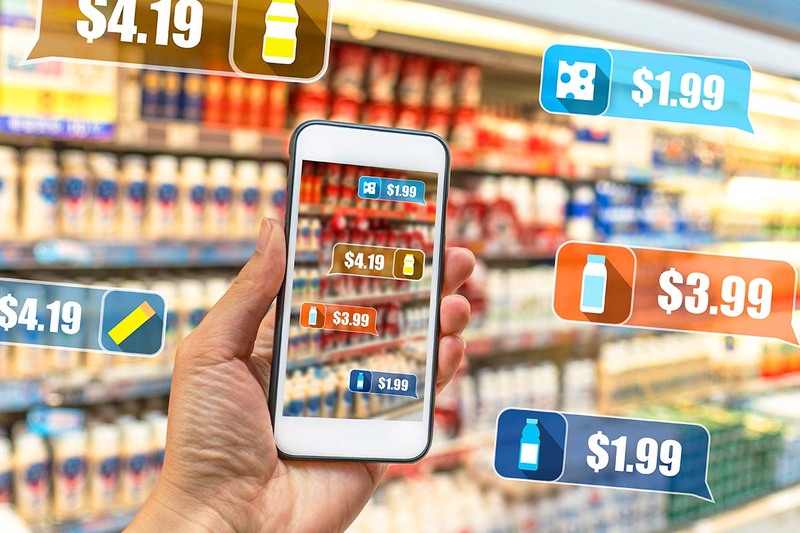 Machine learning will enable your connected refrigerator to help you optimize your shopping list, and augmented reality will make grocery shopping fun. See the experts at the SAP booth at NRF 2018 to learn more. “All of this is real right now,” SAP Retail Solutions’ Steve Mauchline said Saturday in before NRF 2018: Retail’s Big Show. Mauchline and other experts will be demonstrating how retailers can use SAP cloud solutions to help position their businesses for future success in people’s kitchens, in stores and pretty much everywhere else. The Kitchen demo will center on SAP and Samsung’s co-created connected refrigerator, which uses a camera and machine learning to help users track expiration dates, how long the door gets left open, and even update your shopping list. And for grocery stores, there could be a tremendous first-mover advantage to adopting augmented reality gamification of the shopping list, which would incentivize healthier choices in the aisles. And consumers won’t have to buy new hardware to use a lot of the connective solutions in this kitchen — nor will retailers have to convince them to do so. SAP’s Immersive Kitchen Experience Framework paired with key elements of Apple’s AR Kit allows most people to simply continue using what they’ve got. The Store will demonstrate how retailers can make the in-store experience more memorable and impactful by immersing their customers in experiences that aren’t possible online. For example, an IoT-connected store will guide shoppers to their desired product with ceiling lights, and an empowered employee will help a shopper customize her own shoes — and share them on social media. General merchandise showcases include demonstrations of streamlined in-store fulfillment and scan-and-go processes. And fashion showcases include clienteling, a cloud-based application to help high-end retailers improve relationships with their most valuable customers. Retail Everywhere challenges the conventional notion that retail only happens within stores or online, showing how retailers can engage with their customers in new ways via augmented reality and other mobile experiences. This could include using your smartphone to buy something within a minute of first seeing it, be that at a park, along the beach or before a big game. Other examples will include how sports teams and venues can engage fans as they prepare to leave home for the game. Also look for how nearby retailers can engage fans during downtime. Technology is changing retail into something bigger than the four tiny walls of brick-and-mortar stores and online shopping sites. SAP’s booth at NRF 2018 will be a tremendous resource for retailers looking to use new technology to improve customer experiences and update their business models. You can also learn about drones, chatbots, Pepper the Robot and more.